This is by far the most powerful motor we carry. 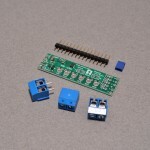 It is designed for 12-24V DC applications and will need a hefty motor driver. 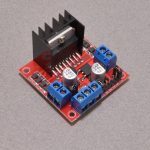 At 12V the no load shaft speed is around 7000 RPM and the current draw is approximately 1.6A. The stall current is ~40A and the stall torque is in excess of 125oz-in. For most applications, a gearbox or reduction pulley system would be desired. 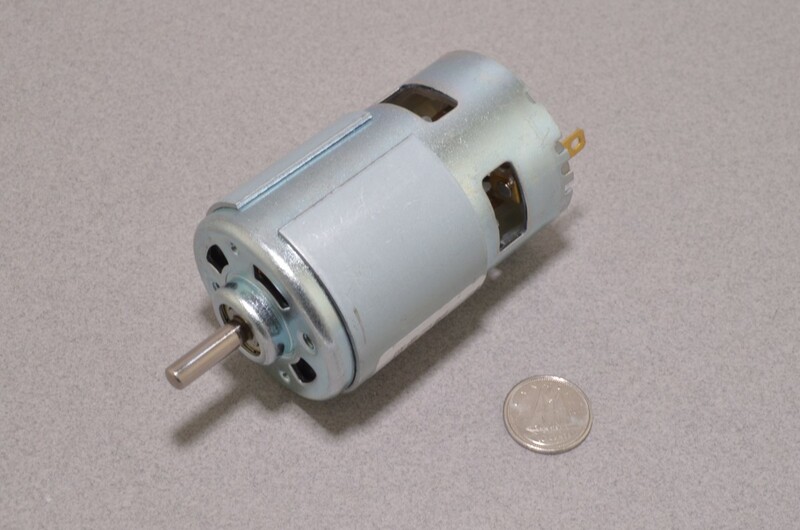 The motor measures 45mm in diameter and 80mm long excluding the output shaft, which extends a further 17mm and measures 5mm in diameter. 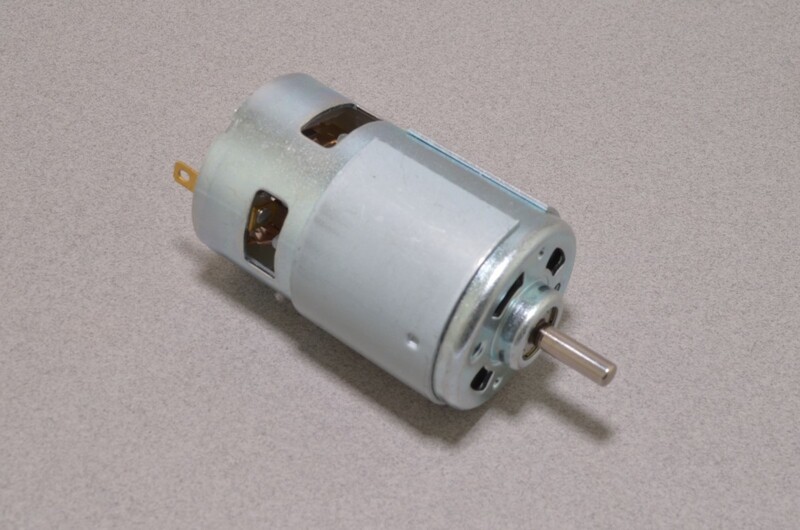 To keep it in place, two M4 mounting holes are located on the front of motor. Large Solder tabs on the back allow wire to be firmly attached. SKU: ROB-106. 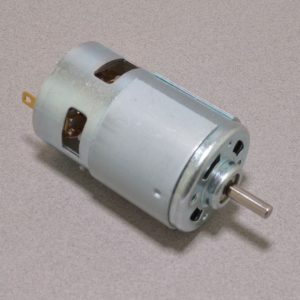 Category: DC Motors. 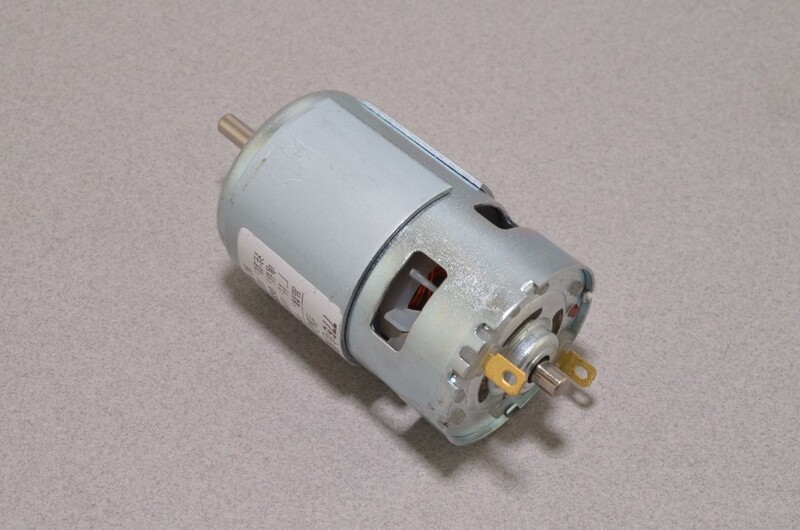 Tag: DC Motor.